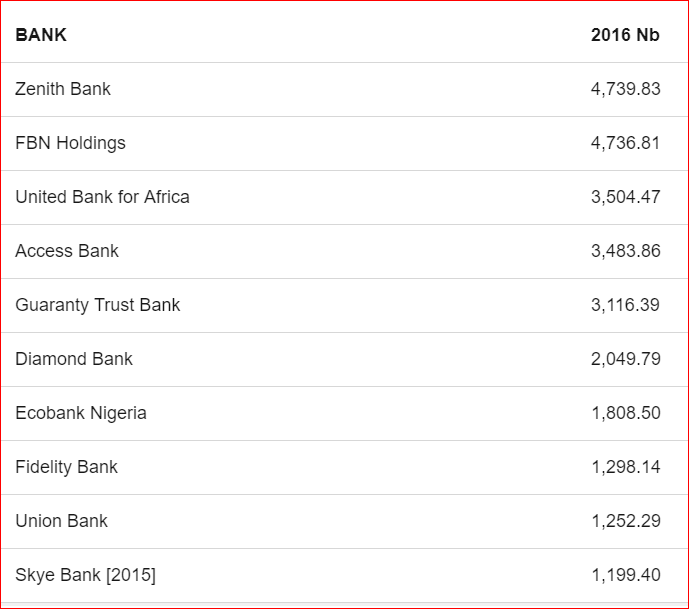 Zenith Bank is Nigeria’s largest bank by Tier 1 capital and 7th in Africa according to the Bankers’ magazine ranking in 2016. 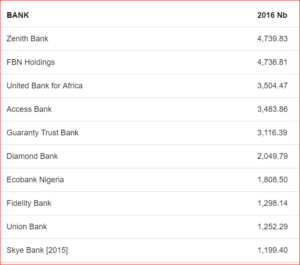 My question is simple….how did First Bank allow “upstarts” like Zenith Bank, GT Bank and Access Bank get near her? First Bank started operations in 1894, Zenith Bank in 1990. if we consider banks are in the business of deposit generation and deployment how does a Bank like Zenith Bank accumulate more Capital than First Bank? Was First Bank asleep? was Zenith bank running? a bit of both? Technology has equalized the game with N50,000 a start up can be created with offices in London, South Africa and China…..that startup can via Social Media and mobile phones has access to the same markets any multinational has. The competition is fiercer today the leadership of companies must be more agile and responsive to market moves. Banking in Nigeria especially is due for a disruption, and technology will provide it. Nigerian banks are asleep, they are not providing credit to the real SME sectors, and they are simply making money today because laws in Nigeria protect them from competition. The Enhancing Financial Innovation and Access (EFINA) 2016 survey says only 38.3 % of Nigerians are formally banked, i.e. First Bank and Co in 56 years could only get 38 out of 100 Nigerians to open a bank account. South Africa is 77%, just to compare. So Nigerian banks are dropping the ball on financial inclusion.. The percentage of Nigeria however with a mobile phone is put at 60.4%, that is huge, how many of these Nigerians use mobile banking? 1%! yes, One percentage. why do Nigerians not use Mobile Banking? well according to the EFINA report, 77% of the sample polled say they do not know what Mobile banking is…How is that possible? i looked up First bank Group, they spend N6.2b on advertising, yet 77% do not know what mobile banking is? what is First bank communicating? Take Mobile technology, it is the future. In a Harvard Kennedy School paper on the Mobile Banking Revolution in Kenya by Jay Resengard, he finds that due to Mobile Banking, the share of Kenyans with access to a financial accounts jumped from 42% in 2011 to 75% in 2014. So why is mobile banking in Kenya booming and mobile banking in Nigeria stagnated? The problem with Mobile Banking in Nigeria is the word “banking” attached to “Mobile”. M-PESA is Kenya most popular Mobile payment service, MPesa was introduced by Safaricom a Mobile company..not a bank, Mobile payment system in Nigeria are dominated by banks. Nigerian banks have again failing to capitalise on the number of mobile phone platforms used by Nigerians to expand financial inclusiveness, and that is the risk . Looking back at the EFINA data on Nigerian financial inclusiveness, 71% use mobile money to send money, 45% use Mobile Banking to receive money, 25% use Mobile Banking to buy airtime, i recommend the sector should be opened to competition. GSM companies should be given the license to offer payment services to Nigerians to make payments with and through their phones or debit cards that can be scanned by smart phones. The GSM companies have deeper market penetration than banks, they are more suited for cashless transactions and can handle smaller transactions than banks. Companies should offer employees the option to receive their salaries via Direct Deposit into either bank accounts or GSM cash wallets, let both platforms compete, the consumer will be the winner. As business services move online, Nigerian banks must evolve, cash is simply an alternative. In the coming years its possible that plots of land will and can be purchased with airtime and bitcoins bypassing the need for cash and banks. Nigeria recently welcomed a new online only bank, that is reducing fees as traditional banks are increasing fees, that is the future of banking, not large conditioned banking halls where cash is counted and stored. Just as today we wonder how Zenith Bank surpassed a bank that was gathering assets nearly 100 years before it was formed, will we witness an upstart internet bank wipe out all the banking giants we see today? Favor they say favours the prepared. Kenya’s model shows some success and yet our regulators choose to use a reverse approach. I hope they do a re-think fast and include telecoms in their licensing schemes. You captured it very well. I hope the regulators will do the needful while we also learn from the style of Zenith bank and co.
fantastic write up. Competition will indeed crash the outrageous bank charges currently witnessed by Nigerians. The CBN got the model wrong by giving licences for mobile money only to banks, excluding GSM service providers who own the network. High time we got the model right by opening up & granting licences to mobile operators!! !